Our approach to dishwasher repairs is simple, find the problem, find the solution, provide a price, perform the repair. We are honest, hardworking and provide a professional service to every customer because we value repeat business and references. 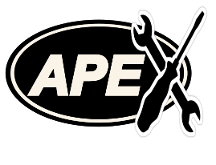 Apex Appliance offer a special 10% discount on the labor element of your bill, when you complete your details on our repair request form. Click here to fill it out today. "I set the system but it doesn't run." There are occasions where the system controls fail. There could be a simple fix, but it may need a new control unit. "There is a load of water in the bottom." It sound like a blockage. Get some unblock solution from the store and follow the instructions, if that doesn't work call us. "It smells real bad." Similar to above, go to the store, buy some solution for cleaning your dishwasher and if that fails to clear the smell, call us. "My dishes are not getting clean." There could be several reasons for this, good and bad. Run a cleaning solution through the machine, if you have done that already or it is still the same call us. "The shelf is broken." Get in touch, we'll identify the problem and provide a fix, or find the componets you need. "The door will not close." Check at the bottom of the machine for obstructions and that the shelves are going all the way back. If nothing is obstructing it call us. "The dishes are not as hot as they used to be." Call us as this could be a problem with the thermo unit. "I have a leak." Contact us ASAP. Dishwashers can cause significant damage if left.